Multilayer technology-agnostic network representation that permits adaptation of Net2Plan to multiple network technologies (e.g., WDM, IP, IP over WDM, wireless ad-hoc, and wireless cellular). 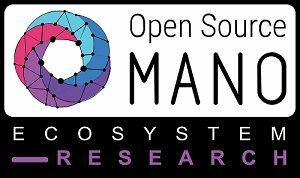 Open API for developing and plugging in self-made or already-available optimization algorithms. Open source and accessible in usual repositories . Command line interface (CLI) and graphical user interface (GUI) for network visualization and manipulation of the data as shown in Figure 1. 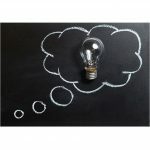 Net2Plan includes an extensive built-in repository of offline planning and online provisioning algorithms, as well as reports, documented in a Javadoc format , with mathematical details described via links to . Some of these resources are of direct application to SDN/NFV scenarios relevant to the Metro-Haul project. On-line resource provisioning exploits the interfacing capabilities (i.e., APIs) of Net2Plan to indicate the suitable network/IT resources that can be provisioned and configured during operation. This is performed by algorithms for traffic-based dynamic metro resource activation, in correlation with service traffic monitoring, resource availability, and service requirements. These algorithms compute virtual network function (VNF) placement and network resource allocation suitable for metro network scenarios where operators’ central offices are equipped with both networking functionalities and computing and storage facilities. Consequently, Net2Plan is able to perform on-line resource provisioning to provide appropriate indications to Metro-Haul’s Control Orchestration and Management (COM) architecture on how to jointly allocate / provision network and IT resources. These functionalities have been preliminarily reported in  and  and apply specifically to work packages 4 and 5. Definition of reference architectures: Leveraging the Net2Plan extension presented in  a number of maps can be imported that permit estimating population densities in the city, as well as city layouts aiming to couple node positions with population densities. Definition of reference user demands for identified 5G services: This step will produce Net2Plan traffic generation algorithms and traffic traces in readable formats, characterized by being time-dependent reflecting variations, and multidimensional considering bandwidth between nodes. Access to services that consume IT resources (CPU, RAM, HD) in metro nodes is also in scope. Joint IT and transport resource allocation algorithms. Network dimensioning and techno-economic analyses. Additionally, key service requirements and key performance indicators (KPIs) of the different use cases expressed in Metro-Haul work package 2 (Deliverable 2.1) are taken into account in the algorithm execution. The NFV, IP over WDM (NIW) library, available in the current Net2Plan version 0.6 , is proposed as a common framework for the 4-step systematic metro network evaluation and motivated the Metro-Haul/Net2Plan hackathon. (i) Net2Plan introduction that included its features, graphical interface, tools (offline design, reports, what-ifs, online design), and the development of algorithms. 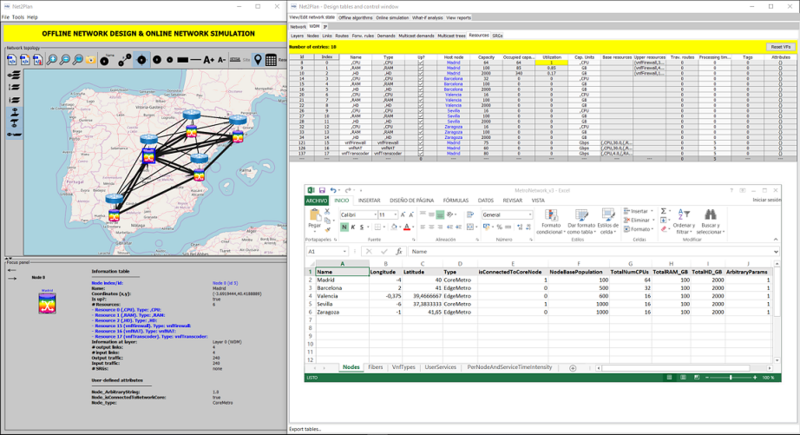 (ii) Description of the NIW library, i.e., the Metro-Haul IP over WDM model over Net2Plan network model, which allows importing data to Net2Plan via Excel spreadsheets. (iii) Hands-on practical exercises on use-cases, adding some restrictions or new features to the algorithms and executing those algorithms in different scenarios (modifying the spreadsheet) to obtain data. The Metro-Haul/Net2Plan hackathon assistance was: Sebastian Troia (Polimi), Leila Askari (Polimi), Albert Rafel (BT), and Nacho Martín (UC3M). In addition to the instructors from UPCT: José Juan Pedreño Manresa, José Luis Romero Gázquez, Francisco Javier Moreno Muro, Miquel Garrich, Mª Victoria Bueno Delgado, and Pablo Pavón Mariño. More information about the code produced is available in . The proposal of a common framework implemented in a specific library that was exercised in the Metro-Haul community. Foster collaborative work (i.e., collaborations) toward the correlation of Metro-Haul partners’ efforts in their actions and content on network design and evaluation. Bridge the gap between topology information and traffic measures supplied by operators, and algorithmic proposals and studies generated by the academic partners in Metro-Haul. Net2plan has a role in Metro-Haul given its ability to address on-line resource provisioning and off-line network design algorithmic challenges. 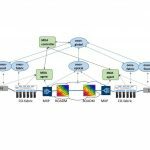 The NIW library eases the planning, provisioning, optimization and evaluation of NFV performance on top of IP-over-WDM topologies. This paves the way toward a common evaluation framework among Metro-Haul partners so that different topologies and the traffic conditions of WDM technologies (e.g., filterless, broadband or filtered) can be easily analysed. This is certainly of interest of project partners given the role of Net2Plan and the NIW library in Metro-Haul. The hackathon demonstrated successful collaboration between Metro-Haul partners. Metro-Haul partners and followers may consider the hackathon content ( and ) as available material to get introduced to Net2Plan capabilities to perform analysis and evaluation of NFV on top of IP-over-WDM scenarios. P. Pavón-Mariño, “Optimization of Computer Networks: Modeling and Algorithms: a Hands-on Approach,” John Wiley & Sons, 2016. F.J. Moreno-Muro, et al., “Joint Optimal Service Chain Allocation, VNF instantiation and Metro Network Resource Management Demonstration”, in proc. OFC, San Diego, CA, USA, 2018. F.J. Moreno-Muro, et al., “Latency-aware Optimization of Service Chain Allocation with joint VNF instantiation and SDN metro network control,” in proc. ECOC, pp. TuDS.12, Rome, Italy, 2018. J. L. Romero-Gázquez, M. V. Bueno-Delgado, F. J. Moreno-Muro and P. Pavon-Marino, “Net2plan-GIS: An open-source Net2Plan extension integrating GIS data for 5G network planning”, in proc. ICTON, Bucharest, Romania, 2018. Miquel is Telecommunications Engineer by Universitat Politecnica de Catalunya, Spain (2009) and Ph.D. by Politecnico di Torino, Italy (2013). During 5 years, he was senior researcher in the optical technologies division at CPqD, Campinas, Brazil, where he coordinated several R&D activities and technological transferences to the (Brazilian) industry in the optical networks team including amplifiers, ROADMs, and SDN. He recently started a H2020 Marie Sklodowska-Curie action (MSCA) individual fellowship at the Universidad Politécnica de Cartagena, Spain, in collaboration with Telefónica Investigación y Desarrollo. Specifically, the H2020-MSCA-IF-2016 INSPIRING-SNI project (G.A. 750611) aims at Investigating SDN Programmability Improving optical South- and North- bound Interfaces (http://girtel.upct.es/projects/inspiringsni/). Copyright 2016-2018 © metro-haul.eu The METRO-HAUL project receives funding (G.A. 761727) from the Horizon 2020 EU research & innovation programme.